Kodi is a powerful media software, that not only allows you to stream content, but you can also watch and record live over the air television. The process takes a few steps and components to implement. Kodi does not have its own embedded TV-tuning functions. You will need one device or computer to capture the over the air signal which is called your backend system. The other device will playback the content using the Kodi software and add-ons, this system is called the front end. The nice part of this configuration is you can leverage 3rd party tuner devices and software. You can use the existing software and hardware to create a backend device that will capture and record the over the air shows. Once all is setup properly, you will have a full-featured PVR (Personal Video Recorder) with live OTA TV and Electronic Program Guide (EPG.) This is great for any cord cutter that wants to fully integrate their HD antenna with Kodi. Let’s take a look at how it is done. The first step is to choose a backend server that works best for your needs. This set up will work for many different countries. There are several options. You can make one using different operating systems and hardware or you can go with a standalone IPTV client. Make sure your tuner card or IPTV client matches the country you plan on receiving broadcast signals. We will explain IPTV clients later in this article. If you decide to make your own backend server, you may already have some of the components needed. This option can be a lot of fun if you like to tinker with different operating systems and components. There are many different ways to set up a Kodi backend server. You can use Linux, Windows or Mac OS to build your own system. The hardware will depend on what you have on hand or plan to buy. If you already have an over the air tuner card this may be your best option. First, check to see what cards are compatible. Not all OTA tuner cards will work. Once you have your OTA tuner card then decide which hardware and operating system you would like to use. If you are looking for recording functions (PVR) then you will need a hard drive or NAS system. You may want to consider a dual tuner card. This is essentially one capture device with two tuners. It will allow you to watch a live show while recording another simultaneously. Here are some resources that will help you decide which options to consider. Kodi Live TV Support Forums – This is a great place to find out which method is the best and most relevant. Some setups are more extensive and have more support available. Others have limited guides and support. Here are a few software options you can use to build your own backend server. Just determine which operating system you prefer to use. Linux has a bunch of different options and makes for a stable and effective backend server. You should also check the Kodi forums to see how much support some of the software options have before making a decision. 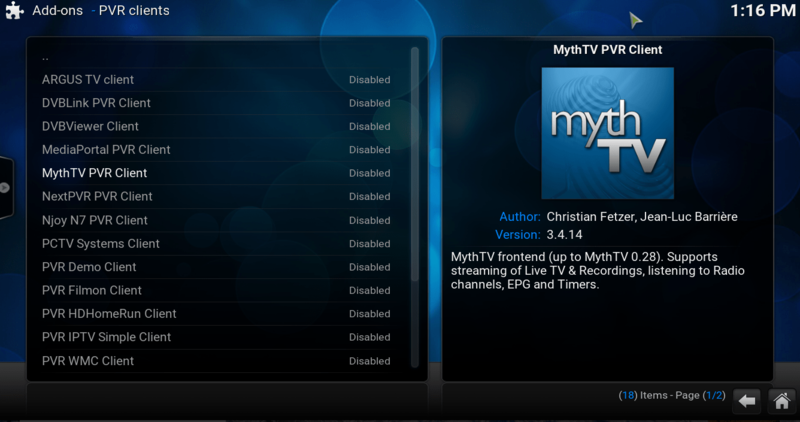 MythTV – Free Open Source software digital video recorder (DVR) project. 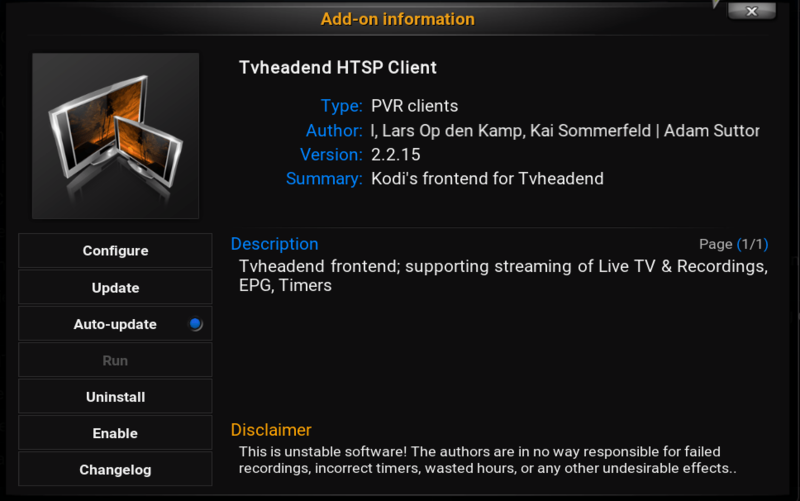 TvHeadend – TV streaming server and recorder for Linux, FreeBSD and Android. VDR – Open source PVR backend software for Linux designed to allow any computer to function as a DVR. DVBLink – PVR backend software made by DVBLogic for NAS, Raspberry Pi hardware and Windows/Linux. NextPVR – NextPVR is a personal video recorder application for Microsoft Windows. MediaPortal – Free open source media center application, which supports all advanced media center functions. ServerWMC – LiveTV using Windows Media Center (WMC) as the PVR Backend. Argus TV – Advanced rule-based scheduling system to record your favorite TV programs in a very intelligent way. DVBViewer – Watch and record digital TV broadcasts using DVB-T, DVB-S, DVB-C, ATSC tuners. EyeTV Server – Open source PVR Backend software for Mac OS X. One of the simplest and most cost-effective methods is to use a Raspberry Pi device and a USB OTA tuner. Raspberry Pi devices are small computers that run very energy efficient. They are about the size of a deck of cards. Many people are using these computers to run their Kodi backend servers. These Raspberry Pi devices run using a distribution of Linux. You can use software like LibreELEC or OpenELEC. Most of these distributions already come preinstalled with all the device drivers needed for a tuner card. Linux TV is a great place to find out what tuner cards are supported. See Our Article on How to Setup a Raspberry Pi Device. SiliconDust makes a fully functional IPTV device that works well with Kodi. It will work as a backend server. SiliconDust also provides a plugin and supports the integrates with your Kodi front end. See Our Article About Kodi and SilconDusts HDHomeRun PVR. The VBox Home TV Gateway is another nice IPTV device. It will not work in the USA but works in Europe and most other countries. This box also fully integrates Kodi. They have designed software that works with Kodi and is fully supported as a backend. Their setup guide makes hooking up this device a breeze. VBox Home TV Gateway is a great all in one solution. Once you have your Kodi backend server figured out it is time to hook it all together. The nice part about this setup is you can push your live over the air feed to many Kodi clients/devices. So you could have your backend server tucked away somewhere attached to your network and have the over the air content pushed to several devices. 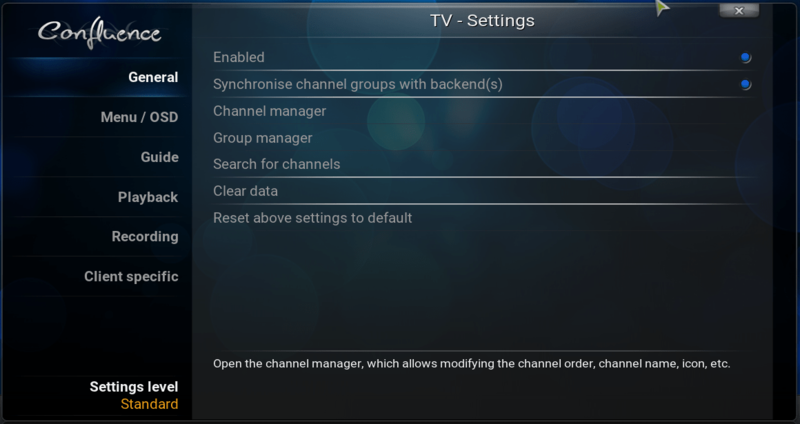 The settings are pretty straightforward for pairing your Kodi box to the backend server. In most cases, you need to install the associated plugin, from the TV setting of the systems tab in Kodi. Then put the IP address of your backend server into hostname option as well as your username and password you created on the backend server if applicable. There you have it. You may want to spend some time tweaking your settings to get the best performance. Using Kodi to watch and record live over the air TV is a great way to have your whole house connected. As you can see, there are many ways you can run Kodi as an OTA TV streamer. If you are a novice, then the IPTV options will work better. If you are an experienced Kodi user and want to build your own backend server there are some excellent options as well. Now you can enjoy watching live over the air TV using Kodi. and program it using the TV guide? i have over 1000 over the air recordings on the PC hard drive. can KODI save and keep track of them? do you know how to use the TV recorder and play back on a windows 7 media center. i am looking for a media center that works like windows 7 media center. Kodi can record and manage your OTA recordings. There are a few plugins for managing your recordings and EPG. You can download Kodi to your computer and give it a try, it’s free. It may take a little time to setup and tweak, but in the end it is worth it. You can play back most file formats using Kodi. Kodi can function very similar to Window 7 media center.